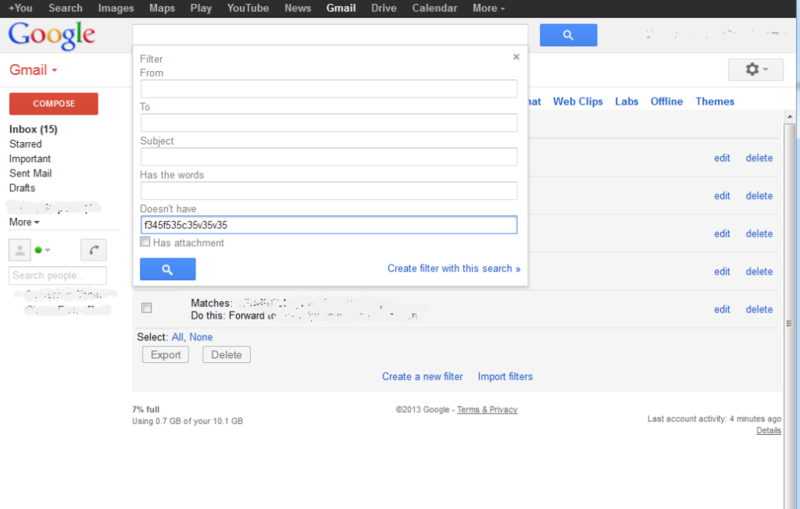 I know it sounds weird to have a filter for ALL incoming mail, as it’s not really filtering anything. But sometimes there are actions you want Gmail to take on all of your email. This could include not sending anything to the spam folder, forwarding the email to a different address, or marking it with a label. There is not ‘catch all’ setting, so you have to use a simple trick. When setting your filter search options, enter a nonsense value in the “Doesn’t have” field. Example: ‘ash87slkjhsdkjfsd8fsdf99889’. No real email coming in should ever have that value in the mail, so that will essentially match all your new mail.